Winter is here, and the temperature’s certainly going down. You may have noticed that your weight has gone up as well due to vacation and traveling. The good news is that there are many ways for you and your sweetie to start working off those pesky pounds together, and that’s a pretty sweet deal. Studies have shown that exercising with a partner can help improve your commitment level as well as boost your intensity, so now’s your chance to work off the pounds with the person who makes your heart pound. There are plenty of exciting, entertaining and romantic ideas that can help you connect with your soulmate while reaching your goal weight. Is there an outdoor market near you? A street fair? A park? There’s no better time to take a stroll and burn some calories while reigniting the spark between you and your special someone. There are plenty of exercise studios that offer classes specifically for couples looking to work out with the only person they have eyes for. Whether you prefer yoga, Pilates or even higher-intensity activities such as spinning and kickboxing, the couple who sweats together stays together. Instead of sitting with your significant other in a dark and crowded movie theater, bar or club, head into the fresh air and soak up some vitamin D.
Hiking has numerous health benefits, and studies have even shown that it can increase your problem-solving abilities, definitely an important skill for maintaining a happy and healthy relationship. If you want to get your heart pumping in many respects, why not engage in a fitness activity that’s new to both you and your special someone? Have you tried aerial workouts? Belly dancing? Jump rope classes? Creating unique experiences together is a great way to increase the closeness and connection between the two of you. Plus, trying something new on for size can help you both keep your sizes down. Volunteering at a local animal shelter can be a rewarding option when you’re looking to spend quality time with your foxy beau or babe. While you take dogs out on a walk together, you can simultaneously take off the weight. Along those lines, another option is to actually come home with a new four-legged friend, as dog ownership itself has been linked to both improved mental and physical health. Its winter here, so you want be able to go to the water with your partner for some wet, wild and weight-friendly fun? like surf (or body surf), kayak, boogie board but you can take a stroll together along the sand hand in hand, run exercise. This might load up on the SPF (Sun Protection Factor)and perhaps enjoy a little sun-soaked PDA as well. Bring out the kid in you and your mate by planning an outing with your sweetie that’s reminiscent of an activity from your childhood. By heading to a trampoline park, roller rink or a mini golf course, it can help you both stay mini as well. Not only is rock climbing a strenuous workout that’s beneficial for your entire body, it’s also a guaranteed way to increase the trust, intimacy and bond between you and your partner. In this case, it’s good for your relationship to be on the rocks. 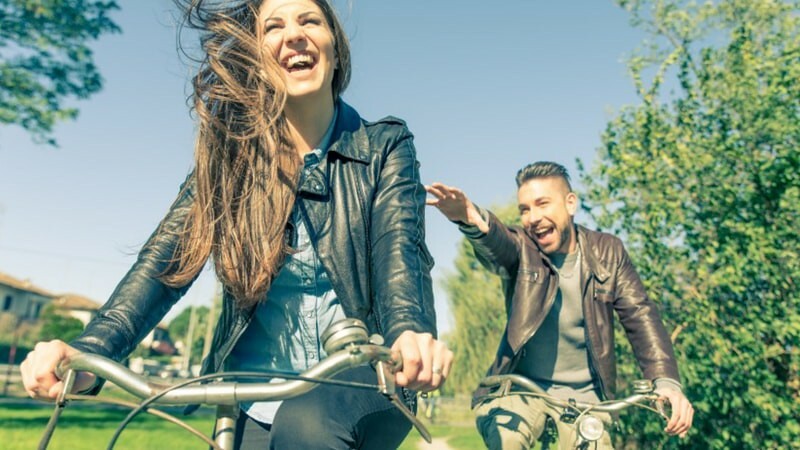 Take a “brake” from the norm and head with your mate to a local bike path or boardwalk. You can always rent bikes or even BYOB (bring your own bike), or perhaps a bicycle built for two is just what you both need to shift you weight loss efforts into a new gear. After a quick online search, you can find many runs and run/walks in your area supporting different and worthy causes. You and your partner can participate in a local 2k, 5k or a 10k whether you both want to run, jog or walk. In addition to the health benefits, when you’re doing something positive together that benefits others, you’re both winners. There are other fun ways to burn extra calories together, and no workout gear is required. Having intimate moments together can help increase your connection with your partner while simultaneously decreasing your weight. Don’t hesitate, you owe it to yourself. Aim for future and take back control of your life today. It will be the smartest way to lose weight and to recapture your health, in the shortest time possible. The best solution here is to lose weight together and not try to go on a diet separately. If you try to lose weight alone, you will tend to break the diet when you see your partner eat in front of you.